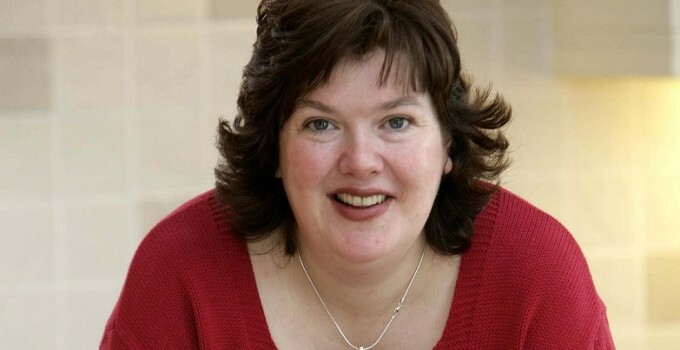 Having trained in Culinary Arts at the prestigious Johnson and Wales University in Rhode Island, USA, Paula McIntyre returned to the UK in 1993 to open her own restaurant in Manchester. Returning to Northern Ireland in 1998, Paula worked as Head Chef in several establishments including Ghan House in Carlingford and Fontana in Holywood. In 2000 Paula appeared as a guest chef on “Ready, Steady, Cook” beating Paul Rankin in her second appearance. In Autumn 2001 Paula was given her own TV series on BBC 2 NI called “Taste for Adventure”. She appeared as a guest chef with Eamonn Holmes on BBC 1 NI’s “Summer Season” programme and was a reporter on food issues for BBC 1 NI’s “Inside Out” programme. A regular contributor to Radio Ulster, Paula was asked to develop her own series. The result “McIntyre Magic” was broadcast on Saturday Morning and since 2004 has been hosting the cooking slot on Radio Ulster’s weekly “Saturday Magazine” show with John Toal. Paula lectures in catering on the Professional Cookery programme in Northern Regional College. She had a regular cooking column in Sunday Life newspaper for 2 years, contributing to various papers in Northern Ireland including the Irish News, Newsletter and Belfast Telegraph. She currently writes a weekly column in Farming Life. Paula’s first book “ A Kitchen Year” was published in 2008 by Gill and McMillan.